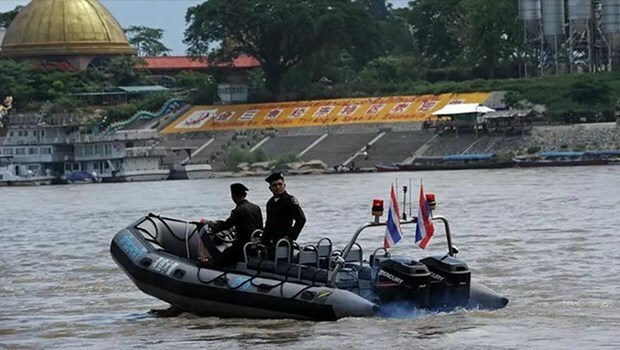 Hanoi (VNA) - The 80th Mekong River joint patrol, led by China, Laos, Myanmar and Thailand, concluded on March 22 at Guanlei port, Xishuangbanna Dai autonomous prefecture in southwest China's Yunnan province. The four-day patrol covered 512km with seven vessels and 187 law enforcement officials taking part. A total of 12 vessels, 25 people and 8.5 tonnes of cargo were inspected during the mission. The joint patrols first started in December 2011 after a gang hijacked two cargo ships and killed 13 Chinese sailors in Thai waters. Nearly 13,000 officers and 680 vessels have so far joined the past 80 missions, contributing to cracking down on crimes.